Even in the 25-point win, the story of the game was the absence of one of Michigan’s best players. As Derrick Walton Jr. continued rehabbing an ankle sprain, the rest of the Wolverines were tasked with stepping up. The Michigan basketball team led Houston Baptist wire-to-wire Saturday, but there was a noticeable void for the Wolverines, and the team seemed out of sorts on both ends of the court at times. Unlike in football, the Wolverines used multiple pieces to fill that presence. LeVert saw extended minutes as the lead guard, senior guard Spike Albrecht put his rehab from hip surgery on hold to chip in 12 minutes and Muhammad-Ali Abdur-Rahkman earned his first start of the season. The results were mixed, but when a team wins by 25, the good outweigh the bad. Against the Huskies — a team ranked 324th in the latest KenPom ratings — the time spent learning the new roles did little to influence the result. As a team, assist rate (14 assists on 28 field goals made) was slightly below-average, but the offense used a strong second half to absolve any of its first-half worries. Even with the second-half surge, Beilein noted that it is still unclear how long Walton will be sidelined for, and with a trip to No. 22 Southern Methodist on Tuesday, the Wolverines must consider the production they got from Walton’s replacements. 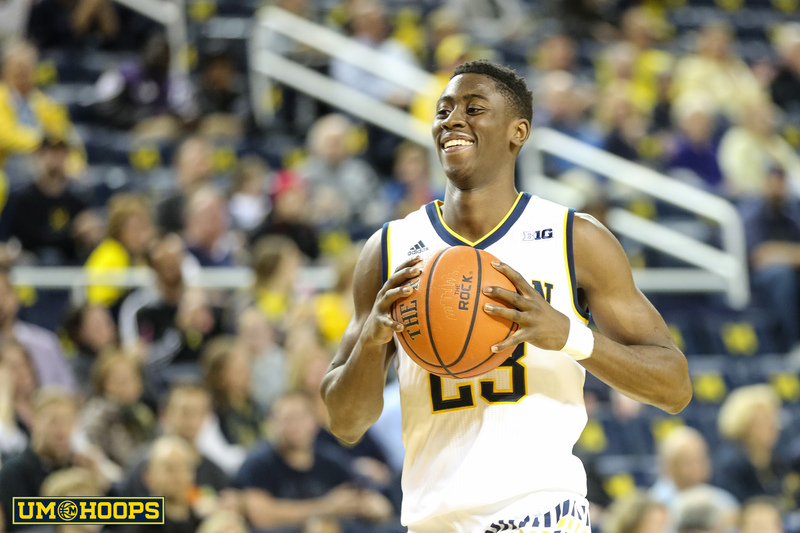 Individually, LeVert looked like the most capable replacement if Walton is to miss future games. A shoot-first guard, LeVert tallied 25 points to just one assist, but showed a propensity to drive from the point position for an easy layup or a game-high 10 free throw attempts. Still recovering from his own health issues, Albrecht only played 12 minutes, but made them count with plenty of tough defensive efforts and playmaking passes. Even with the lead nearing 20, Albrecht continued to sacrifice his body and dive after loose balls. While fans held their breath, Beilein just smiled. Abdur-Rahkman, starting directly in Walton’s place, didn’t match LeVert’s 25 points or Albrecht’s four assists, and showed plenty of things to improve upon. 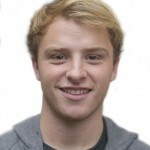 But without many other long-term options, it was a positive step for the sophomore. The newfound trust was on display Saturday, and may need to be more evident Tuesday. Fifth-year senior guard Nic Moore paces SMU’s offense with 15 points per game, and against Yale and TCU, the Mustangs’ best opponents to date, Moore put up 38 points and 10 assists in the closely-contested wins. Normally, point guards regress against Michigan, but Walton, the Wolverines’ top guard defender, remains questionable for the game. So it could be up to LeVert, Abdur-Rahkman and Albrecht to carry the guard load yet again Tuesday. The opponent will be tougher and the minute distribution may be different, but the game plan remains the same, no matter who’s playing. “Just make something happen, making a play instead of just standing around,” Abdur-Rahkman said.